Kuusamo is a town and municipality in Finland. Start off your visit on the 15th (Mon): admire the masterpieces at Hannu Hautala Nature Photography Centre, admire all the interesting features of Palosaari Reindeer and Fishing Farm, and then see exotic creatures in open habitats at a safari tour. Get ready for a full day of sightseeing on the 16th (Tue): explore the stunning scenery at Kiutakongas Rapids, then trek along Pieni Karhunkierros Trail, and then stop by Shopping Center Kumpare. For ratings, maps, photos, and other tourist information, read Kuusamo day trip planner. Boston, USA to Kuusamo is an approximately 17-hour flight. The time zone changes from Eastern Standard Time to Eastern European Time, which is usually a 7 hour difference. Prepare for a bit cooler weather when traveling from Boston in July: high temperatures in Kuusamo hover around 66°F and lows are around 51°F. Wrap up your sightseeing on the 16th (Tue) early enough to drive to Savonlinna. Kick off your visit on the 17th (Wed): take in the spiritual surroundings of Kerimaki Church, see the interesting displays at Lusto - The Finnish Forest Museum, explore the historical opulence of Olavinlinna Castle, then examine the collection at Savonlinna Provincial Museum, then take in the architecture and atmosphere at Pikkukirkko, and finally pick up some local products at Savonlinna Market Square. 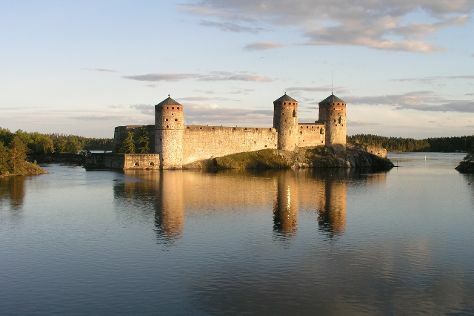 For other places to visit, photos, where to stay, and more tourist information, read Savonlinna online attractions planner . Traveling by car from Kuusamo to Savonlinna takes 7.5 hours. Alternatively, you can do a combination of flight and train; or take a bus. 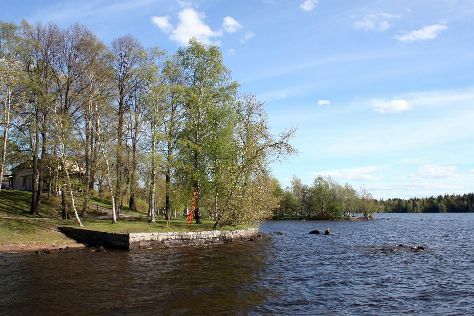 In July in Savonlinna, expect temperatures between 69°F during the day and 53°F at night. Cap off your sightseeing on the 17th (Wed) early enough to go by car to Kouvola. Kouvola is a town and municipality in southeastern Finland. 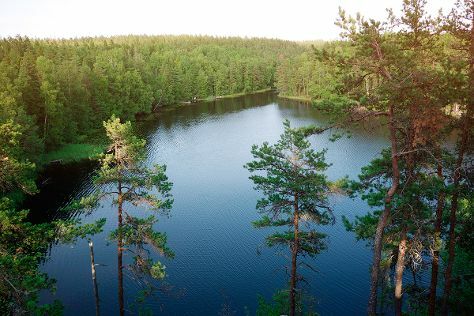 Kick off your visit on the 18th (Thu): explore the wealth of natural beauty at Repovesi National Park. Get ready for a full day of sightseeing on the next day: take a peaceful walk through Niivermaki Nature Conservation Area, then tour the pleasant surroundings at Hiidenvuori, and then identify plant and animal life at Arboretum Mustila. For photos, more things to do, ratings, and other tourist information, read our Kouvola visit planner . Getting from Savonlinna to Kouvola by car takes about 3 hours. Other options: take a train; or do a combination of bus and train. Expect a daytime high around 70°F in July, and nighttime lows around 54°F. Wrap up your sightseeing on the 19th (Fri) early enough to drive to Tampere. Start off your visit on the 20th (Sat): take in the spiritual surroundings of Tampere Cathedral, then examine the collection at Vapriikin Museokeskus, then take in panoramic vistas at Pyynikki Park and Observation Tower, and finally identify plant and animal life at Hatanpaa Arboretum. To see ratings, more things to do, and other tourist information, you can read our Tampere online holiday planner . You can drive from Kouvola to Tampere in 3 hours. Other options are to do a combination of train and bus; or take a train. Expect a daytime high around 70°F in July, and nighttime lows around 52°F. Wrap up your sightseeing on the 20th (Sat) early enough to take a train to Turku. Kick off your visit on the 21st (Sun): wander the streets of Naantali Old Town, then explore the historical opulence of Turku Castle, and then delve into the distant past at Aboa Vetus & Ars Nova. On your second day here, kick back and relax at Vepsa Island, then see the interesting displays at Luostarinmaki Handicrafts Museum, and then contemplate in the serene atmosphere at Turku Cathedral. To see ratings, where to stay, maps, and other tourist information, use the Turku road trip planning app . You can take a train from Tampere to Turku in 2 hours. Alternatively, you can drive; or do a combination of train and flight. Expect a daytime high around 70°F in July, and nighttime lows around 52°F. Cap off your sightseeing on the 22nd (Mon) early enough to go by car to Helsinki. On the 23rd (Tue), test your problem-solving skills at popular escape rooms, browse the eclectic array of goods at Hakaniemi Market, then have some family-friendly fun at True VR, then get engrossed in the history at Seurasaari Island and Open-Air Museum, and finally don't miss a visit to Porvoo Old Town. 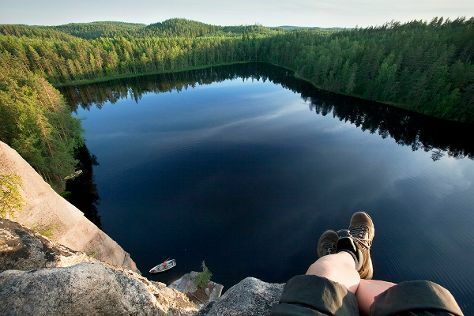 Get ready for a full day of sightseeing on the 24th (Wed): take a peaceful walk through Nuuksio National Park. For traveler tips, ratings, and more tourist information, refer to the Helsinki route planner . You can drive from Turku to Helsinki in 2 hours. Other options are to take a train; or fly. In July, daytime highs in Helsinki are 71°F, while nighttime lows are 55°F. Finish your sightseeing early on the 24th (Wed) to allow enough time to travel back home.